In article 2 of the Japanese Peace Treaty, which entered into force April 28, 1952, Japan renounced all 'right, title and claim' to Formosa. Neither this agreement nor any other agreement thereafter has purported to transfer the sovereignty of Formosa to China. Formosa may be said to be a territory or an area occupied and administered by the Government of the Republic of China, but is not officially recognized as being a part of the Republic of China. But in the view of our State Department, no agreement has 'purported to transfer the sovereignty of Formosa to (the Republic of) China. America and China's tumultuous relationship over the past sixty years has trapped the inhabitants of Taiwan in political purgatory. During this time the people on Taiwan have lived without any uniformly recognized government. In practical terms, this means they have uncertain status in the world community which infects the population's day-to-day lives. (Jan. 1, 1979)), but he did not accept that claim. 1.(f.) The above indicated commanders are the only representatives of the Allied Powers empowered to accept surrenders and all surrenders of Japanese Forces shall be made only to them or to their representatives. ^ 1.0 1.1 楊新一. 「爭」台灣的主權：過去、現在、未來. 台北市: 胡氏圖書. 2000年: 202. ISBN 9575750640. ^ 2.0 2.1 林博文. 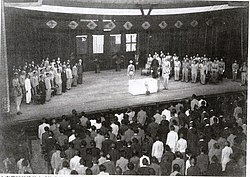 1949石破天驚的一年. 台北市: 時報文化. 2009年: 160–161. ISBN 9571350249. ^ 3.0 3.1 3.2 王键. 战后美日台关系史研究（1945～1995）. 北京市: 九州出版社. 2013年: 37. ISBN 7510824540. ^ 5.0 5.1 胡平. 海角旗影：台湾五十年代的红色革命与白色恐怖. 南昌市: 二十一世纪出版社. 2013年: 40. ISBN 7539182741. ^ 6.0 6.1 周湘華. 遺忘的危機：第一次台海危機的真相. 台北市: 秀威出版. 2008年: 40. ISBN 986221113X. ^ 7.0 7.1 中美关系史丛书编辑委员会. 中美关系史论文集 2. 重庆市: 重庆出版社. 1985年: 484. ^ 8.0 8.1 苏格. 美国对华政策与台湾问题. 北京市: 世界知识出版社. 1998年: 131. ISBN 7501210144. ^ Department of State. Department of State Bulletin 22. Washington, D.C.: 美國政府印務局（英语：United States Government Printing Office）. 1950: 80. ^ 10.0 10.1 10.2 10.3 張五岳、阮銘. 兩岸關係與台海安全 (PDF). 台灣新世紀文教基金會. 2000年4月1日 [2017年12月31日]. ^ 李福鐘. 「解放台灣」與台海危機──1949年以來的中國對台政策 (PDF). 中山女子高級中學歷史學科中心: 4. [2017年12月31日]. ^ 12.0 12.1 12.2 12.3 12.4 徐浤馨. 1952年「中日和約」的性格再議. 台灣國際研究季刊. 2012, 8 (4). ^ 杜蘅之. 國際法大綱. 新北市: 臺灣商務印書館. 1991年: 511. ISBN 9570503548. ^ 王泰升. 台灣歷史上的主權問題. 月旦法學雜誌. No. 9 (台北市: 元照出版): 10. ^ 劉國斯. 台海兩岸定位問題之回顧與前瞻. 人文暨社會科學期刊. 2008, 4 (2): 31. ^ 台灣國際法學會. 台灣‧國家‧國際法. 台北市: 秀威資訊. 2017年: 15. ISBN 9863264946. ^ 林呈蓉. 舊金山和平條約與臺灣地位未定論. 台灣歷史學會. [2017年12月31日]. （原始内容存档于2015年3月13日）. ^ China/Taiwan: Evolution of the “One China” Policy—Key Statements from Washington, Beijing, and Taipei (PDF). Congressional Research Service: 9. 2014-10-10 （英语）. 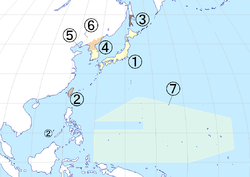 In neither [the Japanese Peace Treaty of 1951 nor the Treaty of Peace between the Republic of China and Japan of 1952] did Japan cede this area [of Formosa and the Pescadores] to any particular entity. ^ Warren R. Austin to Trygve Lie, August 25, 1950，第3頁第4點，1950年8月25日，美國總統杜魯門就台灣問題給美國駐聯合國代表奧斯汀的信，美國杜魯門圖書館與博物館網站，（英文）. "The action of the United States was expressly stated to be without prejudice to the future political settlement of the status of the island. The actual status of the island is that it is territory taken from Japan by the victory of the Allied Forces in the Pacific. Like other such territories, its legal status cannot be fixed until there is international action to determine its future. The Chinese Government was asked by the Allies to take the surrender of the Japanese forces on the island. That is the reason the Chinese are there now." ^ 何應欽. 中國與世界前途. 臺北市: 正中書局. 1974年10月: 第89至90頁. ^ 張炎憲. 「光復」？還是淪入另一個外來政權統治？. 台灣國際法學會. [2015年2月6日]. （原始内容存档于2014年12月16日） （中文）. ^ 28.0 28.1 28.2 28.3 George H. Kerr. Formosa Betrayed. Boston: Houghton Mifflin（英语：Houghton Mifflin）. 1965. OCLC 242620. OL 5948105M （英语）. ^ 陳世昌. 第一章　日本人走了，國軍來了. 戰後70年臺灣史. 臺北市: 時報出版. 2015年12月5日: 33–34. ISBN 9789571364865. ^ 張寒青. 孫中山先生眼中的台灣地位. 北台灣學報 (臺北市: 北臺灣科學技術學院). 2007年3月, (30): 255. ^ Department of State. Foreign Relations of the United States（英语：Foreign Relations Series）, 1946. Vol. VIII, The Far East. Washington: 美國政府印務局（英语：United States Government Printing Office）. 1971: 358–359 （英语）. In particular, it is considered that exemption from Japanese jurisdiction was not intended to be accorded the estimated 20,000 persons in Japan claiming to be Taiwanese; these persons throughout the war were enemy nationals and according to Japanese law still retain Japanese nationality, excepting only those who have individually divested themselves thereof in accordance with established procedure......It should, however, be pointed out that from the legal standpoint the transfer of Taiwan's Sovereignty remains to be formalized; assumably a treaty of cession will in due course be negotiated which will effect such transfer and which may contain provisions in regard to appropriate change in the national status of Taiwan's residents. ^ 湯熙勇. 恢復國籍的爭議：戰後旅外臺灣人的復籍問題(1945-47) (pdf). 人文及社會科學集刊 (中央研究院人文社會科學研究中心). 2005年6月, 17 (2): 419–421. ISSN 1018-189X. ^ 何義麟. 戰後台灣人之國籍變更與國家認同──以澀谷事件之考察為中心 (PDF). 臺北市: 財團法人交流協會: 6, 11. 2002年2月. ^ Tillman Durdin（英语：Tillman Durdin）. 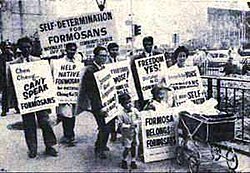 Formosa Killings Are Put at 10,000. New York Times (New York). March 29, 1947 [January 25, 2015]. （原始内容存档于2015年3月8日）. （英语）. Formosans are reported to be seeking United Nations' action on their case. Some have approached foreign consuls to ask that Formosa be put under the jurisdiction of Allied Supreme Command or be made an American protectorate. Formosan hostility to the mainland Chinese has deepened. Two women who described events at Pingtung said that when Formosans assembled to take over the administration of the town they sang "The Star Spangled Banner." ^ Tillman Durdin（英语：Tillman Durdin）. Formosans' Plea for Red Aid Seen. New York Times (New York). March 30, 1947 [March 6, 2015]. （原始内容存档于March 8, 2015）. （英语）. All foreign witnesses of the slaughters, looting and wholesale imprisonment of natives by Chinese troops and police agree that bitter hostility has been fanned among Formosans......China's possession of the island has not been formalized by international treaty. This cannot come about until the peace pact with Japan is concluded. Formosans know this and some are talking of appealing to the United Nations to put the island under an international mandate. They stress that China has no more historical claim to Formosa than the Japanese, Dutch and Portuguese, who had early trading interests there. ^ HC Deb（英语：Hansard） 30 June 1947 vol 439 c938 （英文）. "It is the view of His Majesty's Government that formal transfer of territories formerly owned or annexed by Japan must await the eventual Peace Conference with Japan." ^ 蘇瑶崇. 從日本決戰體制下的台灣到主體意識的發展 (PDF). 臺北市: 財團法人交流協會: 3. 2005年1月. ^ 莊嘉農. 憤怒的台灣. 台北市: 前衛出版社. 1993年: 178–179. ^ 國民政府遷台. 網上神州五十年. 香港電台. [2016年8月14日]. ^ 42.0 42.1 42.2 42.3 汪小平. 战后台湾的法律地位与美国对台政策（1945～1949） (PDF). 中国社会科学院近代史研究所青年学术论坛 (社会科学文献出版社). 2002年, (2002年卷). ISBN 7801901681. ^ 李宗仁／口述. 第67章 不堪回首的江南戰役. 李宗仁回憶錄（下）. 唐德剛／撰寫. 遠流出版. 2010: 頁854. ISBN 9573265893. ^ 林桶法. 從溪口到臺北—第三次下野期間蔣介石的抉擇 (PDF). 國史館學術集刊 (國史館). 2007年9月, (13): 110. （原始内容 (PDF)存档于2015-09-23）. ^ 林朝億. 蔣介石提台灣是托管地書信 國史館網站可查到. 新頭殼. 2017年1月3日 [2017年1月3日]. ^ 叶克飞. 哪位国民党高官人称“小委员长”. 中国网. 中国外文出版发行事业局. 2016年1月15日 [2016年8月15日]. ^ 陳錦昌. 蔣中正遷台記. 臺北市: 向陽文化. 2005: 頁57. ISBN 9868154324. ^ Department of State. Foreign Relations of the United States（英语：Foreign Relations Series）, 1949. Vol. IX, The Far East: China. Washington: 美國政府印務局（英语：United States Government Printing Office）. 1974: 332–333 （英语）. ^ Department of State. Foreign Relations of the United States（英语：Foreign Relations Series）, 1949. Vol. IX, The Far East: China. Washington: United States Government Printing Office（英语：United States Government Printing Office）. 1974: 342 （英语）. ......should a refugee Chinese government or a Chinese government in exile be set up in Taiwan, which is not yet legally Chinese territory, it is probable that the British Government would simply appoint a British Consulate in Tamsui as an office of the British Embassy in China. ^ 蔣經國先生全集編輯委員會. 蔣經國先生全集 第一冊. 臺北市: 行政院新聞局. 1991年: 頁446–447. ISBN 9570000589. ^ 高純淑. 〈蔣介石的草山歲月——從日記中觀察〉. (编) 呂芳上主編. 《蔣介石的日常生活》. 香港: 天地圖書. 2014: 137. ^ 陳布雷等編著. 《蔣介石先生年表》. 台北: 傳記文學出版社. 1978-06-01: 60. ^ The Future of Formosa. The Economist (London: The Economist Group). July 16, 1949: 124. General Chiang's journey from his stronghold in Formosa to the Philippines has made more urgent than before the question of future of Formosa, which until a peace treaty is signed with Japan remains in international law Chinese-occupied Japanese territory. ...... The situation is further complicated by the tensions which have existed between the Formosans and the intruders from the mainland since the capitulation of Japan. The Formosans rose in revolt in 1947, but were suppressed with great severity. ...... Nobody so far has paid any attention to the wishes of Formosa's inhabitants, but it is arguable that should be considered. The agreements made with the Nationalist Government about the provisional postwar occupation of Formosa would lapse if recognition were at any time to be withdrawn from it, unless these agreements were specifically to be renewed in favour of a Communist China; meanwhile, ultimate authority would revert to the Supreme Commander of the Allied Powers as part of his responsibility for all Japanese territory. ^ The Chinese in Formosa. The Economist (London: The Economist Group). July 23, 1949: 195. When plans were made during the Pacific war for disposing of Japan's colonial empire, it was not expected that there would be any trouble over the return of the island of Formosa to China. Japan had annexed Formosa from China in 1895, as part of the spoils of victory in the Sino-Japanese war of the previous year; the population was almost entirely Chinese-speaking and on ethnic grounds, as well as on the basis of former posses[s]ion, China appeared to have an indisputable claim to the reversion of the territory. When, therefore, Japan surrendered in 1945, it was not only agreed that China should undertake the military occupation of Formosa, but China was regarded as having incorporated it as a province of the Chinese Republic even in advance of any formal cession by Japan—which could not be effected until the conclusion of a peace treaty. ^ HC Deb（英语：Hansard） 14 November 1949 vol 469 c1679 （英文）. "Any change in the legal status of Formosa can only be formally effected in a treaty of peace with Japan." ^ Memorandum by Voorhees to Johnson, 14 December 1949, Formosa file, RG 6, box 8, MacArthur Memorial, NARA （英文） "Formosa remains legally a part of Japan until a treaty of peace. At Potsdam, it was agreed that Japanese areas other than the four main islands should be assigned respectively to certain of the Allies for control until a treaty could be made. Under this plan Formosa was assigned to China......until there is a treaty of peace the Nationalist Government of China is merely a custodian......"
^ TNA: CAB 129/41/6, Formosa, 03 July 1950, p. 2 （英文） "In 1943 Formosa was part of the territory of the Japanese Empire and His Majesty's Government consider that Formosa is still de jure part of that territory......On 25th October, 1945, as a result of an Order issued on the basis of consultation and agreement between the Allied Powers concerned, the Japanese Forces in Formosa surrendered to Chiang Kai-shek. Thereupon, with the consent of the Allied Powers, administration of Formosa was undertaken by the Government of the Republic of China." ^ HC Deb（英语：Hansard） 26 July 1950 vol 478 c60W （英文）. "His Majesty's Government have recognised de jure the Chinese Central People's Government as the legitimate Government of China, and as such entitled to enjoy the rights of the Chinese State. Formosa is still de jure Japanese territory and there is no Government of Formosa as such. Following on the surrender of Japan, the Chinese Government of the day assumed, with the consent of the remaining Allies, the provisional administration of the territory pending the final determination of its status at a peace settlement......because of the provisional nature of the present administration of Formosa, it is the hope of His Majesty's Government that the disposal of Formosa will be decided, as has always been contemplated, in connection with the peace settlement, with Japan." ^ Department of State. Foreign Relations of the United States（英语：Foreign Relations Series）, 1950. Vol. VI, East Asia and the Pacific. Washington: United States Government Printing Office（英语：United States Government Printing Office）. 1976: p. 398 （英语）. There come to mind number of factors, generally unenvisaged at time Cairo Declaration, which lead us not to accept that Declaration as necessarily last word on subj Formosa. 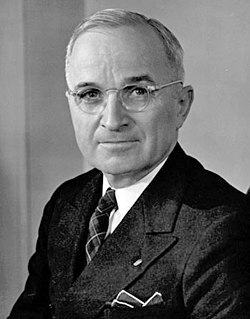 ^ Harry S. Truman. Letter to Ambassador Warren Austin Restating the U.S. Position on Formosa. Harry S. Truman Library and Museum. August 27, 1950 [March 8, 2015]. （原始内容存档于2015年3月8日） （英语）. ^ 70.0 70.1 70.2 顧維鈞／英語口述. 顧維鈞回憶錄 第九分冊. 中國社會科學院近代史研究所／譯. 北京市: 中華書局. 1989年5月. ISBN 7101002153. ^ 73.0 73.1 73.2 中華民國外交問題研究會. 金山和約與中日和約的關係. 臺北市: 中國國民黨中央委員會黨史委員會. 1966年8月. ^ 77.0 77.1 77.2 77.3 彭孟濤. 戰後臺美關係與「臺灣地位未定論」（1949-1979） (PDF). 臺北市: 政治大學臺灣史研究所. 2013年: 7. ^ 78.0 78.1 日本產經新聞／編. 蔣總統秘錄 第十四冊. 中央日報／譯. 臺北市: 中央日報社. 1977年12月25日: 頁118. ^ 張羣. 我與日本七十年. 臺北市: 中日關係研究會. 1980年: 頁133–134. ^ 参議院会議録情報 第013回国会 外務委員会 第40号. 昭和27年6月13日. p. 10. （日文）. "今御審議を願つております中華民国との平和条約においては、中華民国の領土はどこであるとか、中華民国の国民はどれであるとかということをきめる目的で、これは交渉がせられたのではございませんで、その領土の問題並びに領土の帰属だとか、或いは中華民国の国民ばこういうものであるというような合意は、この中には書いてございません。先ほどから申上げますように、十条の規定は、中華民国の国民はどういうものだとということを規定することが趣旨ではなく……"
^ HC Deb（英语：Hansard） 20 December 1954 vol 535 c2431 （英文）. "The position with regard to Formosa is that Japan has renounced her sovereignty over it, but in our view it has not become part of China." ^ HC Deb（英语：Hansard） 01 February 1955 vol 536 c901 （英文）. "It contained merely a statement of common purpose. ...... The question of future sovereignty over Formosa was left undetermined by the Japanese Peace Treaty." ^ Drew Middleton. Cairo Formosa Declaration Out of Date, Says Churchill. New York Times (New York). February 2, 1955 [March 8, 2015]. （原始内容存档于2015年3月8日）. （英语）. ^ HC Deb（英语：Hansard） 04 February 1955 vol 536 c159W （英文）. "......This Declaration was a statement of intention that Formosa should be retroceded to China after the war. This retrocession has, in fact, never taken place, because of the difficulties arising from the existence of two entities claiming to represent China, and the differences amongst the Powers as to the status of these entities. ......In September, 1945, the administration of Formosa was taken over from the Japanese by Chinese forces at the direction of the Supreme Commander of the Allied Powers; but this was not a cession, nor did it in itself involve any change of sovereignty. The arrangements made with Chiang Kai-shek put him there on a basis of military occupation pending further arrangements, and did not of themselves constitute the territory Chinese. Under the Peace Treaty of April, 1952, Japan formally renounced all right, title and claim to Formosa and the Pescadores; but again this did not operate as a transfer to Chinese sovereignty, whether to the People's Republic of China or to the Chinese Nationalist authorities. Formosa and the Pescadores are therefore, in the view of Her Majesty's Government, territory the de jure sovereignty over which is uncertain or undetermined. The Nationalist-held islands in close proximity to the coast of China are in a different category from Formosa and the Pescadores since they undoubtedly form part of the territory of the People's Republic of China." ^ Status of Formosa. The Times (London). February 5, 1955 （英语）. ^ James Reston（英语：James Reston）. New Formosa Bid. New York Times (New York). February 6, 1955 [March 12, 2015]. （原始内容存档于2015年3月8日）. （英语）. ......Secretary of State Dulles prepared to go before the Senate Foreign Relations Committee tomorrow to urge Senate ratification of the mutual assistance treaty with the Republic of China. ......Some prominent Democrats have suggested that the signing of a mutual defense agreement with President Chiang will change the legal status of these territories and give the Nationalists sovereignty over them. Mr. Dulles will reject this argument when he testifies on the treaty this week. He will assert that the Administration does not regard the sovereignty of Formosa and the Pescadores as having been settled. His view is that the treaty will not give General Chiang sovereignty over these islands. ^ HC Deb（英语：Hansard） 04 May 1955 vol 540 c1867 （英文）. "It is the understanding of the Senate that nothing in the treaty shall be construed as affecting or modifying the legal status or sovereignty of the territories to which it applies." ^ HC Deb（英语：Hansard） 09 February 1955 vol 536 c216w （英文）. "I have been unable to trace any such proclamation. Unilateral declarations could not affect the legal status of Formosa......"
^ TNA: CAB 129/73/38, Formosa, 11 February 1955, p. 1–2 （英文） "In September, 1945, the administration of Formosa was taken over from the Japanese by Chinese forces pursuant to the Japanese Instrument of Surrender and General Order No. 1 issued by the Japanese Government at the direction of the Supreme Commander for the Allied Powers, dated September 2, 1945. But this was not a cession nor did it in itself involve any change of sovereignty. The arrangements made with Chiang Kai-shek put him there on a basis of military occupancy, responsible to the whole body of the Allies, pending a peace treaty with Japan or, if the status of Formosa was not finally settled by that treaty (which it was not), then pending an eventual settlement about Formosa—which has not yet taken place. The arrangements did not of themselves constitute the territory Chinese." ^ HC Deb（英语：Hansard） 04 May 1955 vol 540 cc1870–1 （英文）. "The document in question was the Cairo Declaration. That was couched in the form of a statement of intention, and as it was merely a statement of intention, it is merely binding in so far as it states the intent at that time, and therefore it cannot by itself transfer sovereignty......The case of Formosa is different. The sovereignty was Japanese until 1952. The Japanese Treaty came into force, and at that time Formosa was being administered by the Chinese Nationalists, to whom it was entrusted in 1945, as a military occupation......That position has been made quite clear by the statement the Prime Minister made in the House on 4th February, which has been quoted by the hon. and learned Member. Therefore I shall not repeat it. In reply—I quote the concluding passages of his statement—he said: "Formosa and the Pescadores are therefore, in the view of Her Majesty's Government, territory the de jure sovereignty over which is uncertain or undetermined." ......the fact is that Formosa is not under Chinese sovereignty. That does not mean that the Chinese Nationalists have no right to be there. Their presence springs from their military occupancy in which they were placed by the Allied Powers in 1945, pending future arrangements." 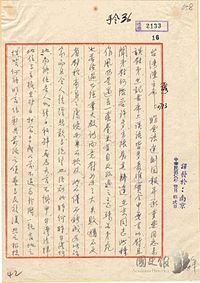 ^ HC Deb（英语：Hansard） 19 November 1958 vol 595 c1140–1 （英文）. "......the Cairo Declaration, which was reaffirmed by the Potsdam Declaration, was merely a statement of common purpose. Both were made at a time when there was only one entity claiming to represent China. Since then there has been a civil war in China and opinions differ as to who now represents the Government of China. The problem of Formosa has become an international one, in which a number of nations are concerned, and it cannot be solved merely by reference to the Cairo and Potsdam Declarations." ^ 参議院会議録情報 第038回国会 予算委員会 第15号. 昭和36年3月15日. p. 19. （日文）. "ポツダム宣言には、カイロ宣言の条項は履行せらるべしということが書いてある。そうしてわれわれは降伏文書によって、ポツダム宣言の受諾を宣言したのであります。しかし、これは降伏文書というものは、休戦協定の性格を有するものでありまして、領土的処理を行ない得ない性質のものであるということを申し上げたのであります。"
^ 衆議院会議録情報 第038回国会 外務委員会 第2号. 昭和36年2月2日. p. 23. （日文）. "カイロ宣言によりまして、台湾及び澎湖島を中華民国に返還するということを米英華三国間できめております。そのカイロ宣言やポツダム宣言によりまして、連合国の日本に対するいわば最終的な要求事項となったカイロ宣言の条項は履行せらるべしということになっておるわけであります。それをさらに日本は降伏文書で受けまして、ここに降伏したわけであります。しかしながらこの降伏というのは、あくまでも日本が戦争行為を終止するための条件でございまして、最終的な領土の帰属その他のことは平和条約を待たなければ確定しないわけでございます。それで降伏文書で受諾しました条件は、講和条約でもしこれを提示されれば、日本はそのままこれを受諾しなければならないということになると思いますが、サンフランシスコ平和会議で日本に提示されました条約案では、澎湖島及び台湾を中華民国に帰属せしめるという規定にはなっていないのでありまして、日本はいわば一方的にこの二つの島に対する権利、権原を放棄するという案になっておるのであります。従ってサンフランシスコ条約にきめられましたところ、日本が受諾いたしましたところが、現在のような状態になっているわけでございまして、日本としては中華民国にこれを帰属せしめたという意思決定はしていないのでございます……日華条約には領土条項と称すべきものはないのでありまして、日華条約をどこに適用するかということについての了解があるのであります。従って日華条約によりまして日本が台湾及び澎湖島を中華民国に帰属せしめたという意思表示はしていないのでございます。"
^ 衆議院会議録情報 第046回国会 外務委員会 第1号. 昭和39年2月6日. p. 11. （日文）. "台湾の帰属の問題につきましては、御指摘のように、カイロ宣言では、中華民国に返させるというカイロ宣言の当事国の意思の表明がありました。これはポツダム宣言で確認されておりますが、最終的な領有権の問題については、日本の平和条約で、日本から放棄されるだけであって、将来の連合国間の決定にまかされておるというのが連合国の見解でございます。"
^ 戴天昭（日语：戴天昭）／著. 台灣法律地位的歷史考察. 李明峻／譯. 臺北市: 前衛出版社. 2010年7月10日: 頁651. ISBN 9578016476. ^ HC Deb（英语：Hansard） 23 June 1966 vol 730 c130W （英文）. "Her Majesty's Government believe that the China seat in the United Nations should be occupied by representatives of the Chinese People's Republic. As for Formosa, it is our view that sovereignty over this island is undetermined." ^ HC Deb（英语：Hansard） 19 December 1966 vol 738 cc185–6W （英文）. "Our position on the status of Formosa was outlined on 28th November by my noble Friend Lord Caradon in his explanation of our vote in the General Assembly of the United Nations on the question of Chinese representation in that organisation. A copy186W of his statement is in the Library. It remains our view that sovereignty over the island of Formosa is undetermined." ^ 衆議院会議録情報 第087回国会 予算委員会 第12号. 昭和54年2月16日. p. 47. （日文）. "台湾及び澎湖島に対するわが国のあらゆる権原はサンフランシスコ平和条約によって放棄せられたわけでございます。その場合に、それがだれのために放棄せられたかということがサンフラシスコ平和条約では決め得なかった。したがって、その台湾及び澎湖島の帰属先が法律的に未定であった、サンフランシスコの平和条約では未定であったというところからその問題が発生するわけで、いわゆる台湾の地位がどうなのだという問題かその後ずっとあったわけでございます。"
^ 衆議院会議録情報 第162回国会 外務委員会 第7号. 平成17年5月13日. p. 18. （日文）. "日本はサンフランシスコ平和条約によって台湾を放棄いたしました……日華平和条約においては同放棄が承認をされた。ただ、その場合、どこの国に対して放棄したかは明記していないわけでございます。したがって、台湾がどこに帰属するかについて、これは専ら連合国が決定すべき問題であり、日本は発言する立場にない、これが日本側の一貫した法的な立場であります。"
^ J. Michael Cole. UN told to drop 'Taiwan is part of China'. Taipei Times (Taipei). September 6, 2011 [March 20, 2015] （英语）. ^ 130.0 130.1 130.2 總統接見來台出席「台灣主權地位」國際研討會外賓. 2008年4月17日 （中文（台灣）‎）. ^ 132.0 132.1 台灣主權的重要聲明. 台灣新世紀文教基金會. 2001年9月27日 （中文（台灣）‎）. ^ 133.0 133.1 台灣主權未定論 許世楷：日本外交界常識. 自由時報. 2009-05-03 （中文（台灣）‎）. ^ 國際法觀點 學者：台灣被中華民國政府佔領70年. 自由時報. 2015-10-24 （中文（台灣）‎）. ^ 台湾参与联合国唯一之道. 聯合早報. 2008-08-20 [2017-10-27]. ^ 各国官方不单提“台湾” 联合国标注为中国台湾省. 環球時報. 2015-02-10 [2017-10-27]. ^ “联合国青年”用“中国台湾省”名义遭质疑. 联合早报. 2012-12-14 [2017-10-27]. ^ 【联合国不认 ROC 护照】要求台湾学生用台胞证才能进场，怒呛「台湾并不是个国家」. 2017-06-16 [2017-10-27]. ^ Joint Communique of the United States of America and the People's Republic of China (Normalization Communique). 美國在臺協會. 1979年1月1日 [2016年12月10日]. ^ 美國國會. 台灣關係法. 维基文库. 1979年. ^ 153.0 153.1 美國在台協會主席薄瑞光 媒體圓桌會議. 美國在台協會. 2009年11月24日 [2015年11月19日]. （原始内容存档于2015年4月2日）. ^ 英国回应“承认台湾是国家” 连署申请：台湾是中国一省. 環球網. 中央社. 2016-02-05 [2017-10-24]. ^ 【日々是世界 国際情勢分析】「地位未定」発言で日台膠着状態. 產經新聞. 2009-07-28 [2010-03-02]. （原始内容存档于2009-07-31）. ^ 日本の台湾代表が辞表 「地位未定」発言で引責か. 産経新聞. 2009-12-01 [2010-03-03]. （原始内容存档于2009-12-04）. ^ 165.0 165.1 關於「臺灣主權未定論」之答客問. 中華民國外交部. 2015-08-26. ^ 酆邰. 正視中國崛起：台灣外交新戰略. 獨立作家. 2017年1月25日. ISBN 9789869388665. ^ Chen Lung-chu, W. M. Reisman. Who Owns Taiwan: A Search for International Title. Yale Law Journal（英语：Yale Law Journal） (The Yale Law Journal Company, Inc.). March 1972, 81 (4): 611–612 （英语）. At the conclusion of World War II, the Supreme Commander of the Allied Command in the Pacific, General Douglas MacArthur, authorized the Nationalist Chinese authorities to accept the surrender of Formosa from the Japanese and to undertake temporarily military occupation of the island as a trustee on behalf of the Allied Powers. ^ Jonathan I Charney, J. R. V. Prescott. Resolving Cross-Strait Relations Between China and Taiwan. 美國國際法雜誌（英语：American Journal of International Law） (American Society of International Law（英语：American Society of International Law）). July 2000, 94 (3): 458. JSTOR 2555319. doi:10.2307/2555319 （英语）. After occupying Taiwan in 1945 as a result of Japan's surrender, the Nationalists were defeated on the mainland in 1949, abandoning it to retreat to Taiwan. ^ Y. Frank Chiang. One-China Policy and Taiwan. Fordham International Law Journal（英语：Fordham International Law Journal） (Fordham University School of Law). December 2004, 28 (1): 27, 80 （英语）. In August 1945, when U.S. General MacArthur (as the Supreme Commander for the Allied Powers) assigned the R.O.C government to receive the surrender of the Japanese commanders in Taiwan, the R.O.C. government was still in control of a large part of China's territory. But, by 1949, that government had lost control over most of China's territory to the Chinese Communists in a civil war and taken refuge in Formosa, outside of China's territory.....It was the United States that assigned Chiang Kai-shek's R.O.C. government to occupy and administer the island of Taiwan on its behalf. So, fifty years later, the R.O.C. government still acts as an agent of the United States. The passage of time will not change, and has not changed, the legal relationship of agent and principal. ^ 萬蓓琳. 建國這條路 許慶雄走得好孤獨. 《新台灣新聞周刊》第291期. 2001-10-20. （原始内容存档于2014-02-26）. ^ 陳宗逸. 獨派理論的唐吉訶德 許慶雄. 《新台灣新聞周刊》第393期. 2003-10-13. （原始内容存档于2014-02-26）. ^ 許慶雄. 建國不可缺少 宣布獨立. 《新台灣新聞周刊》第638期. 2008-06-12 [2014-04-19]. （原始内容存档于2014-04-19）. ^ 許慶雄. 不要再迷失於統一、獨立的錯誤觀念！. 民報. 2016-12-18 [2016-12-18]. ^ 192.0 192.1 彭明敏、黃昭堂／著. 臺灣在國際法上的地位. 蔡秋雄／譯. 臺北市: 玉山社. 1995年5月1日. ISBN 9579361010. ^ 吳典蓉. 建國黨表態挺扁. 中國時報. 1999-12-18 [2014-11-17]. （原始内容存档于2014-11-29）. ^ 范文欽、劉頤堃. 台灣地位未定？ 李敖諷︰官員該多讀書. TVBS新聞. 2004-11-10 [2013-02-10]. ^ 王建平. 李敖乐当"统派". 东方网. 2004-12-28 [2015-02-15]. ^ 何瑞元. 從戰爭法談台灣定位. 自由時報 (臺北市). 2005年5月1日 [2015年4月11日]. ^ 林志昇. 流亡政府與流亡政權的概念. 台灣日報 (臺中市). 2006年4月26日 [2015年2月19日]. （原始内容存档于2015年1月20日） （中文）. ^ 郭至楨、朱蒲青. 主權未定→確定中→確定的 林佳龍：正名國號是最後一哩路. 中時電子報. 2007-09-27 [2014-09-22]. ^ 林滿紅. 我國與聯合國關係之前瞻 (PDF). 中央研究院週報. No. 第1144期 (中央研究院). 2007年11月1日 [2014年11月29日]. ^ 彭顯鈞. 台灣主權是誰的？姚：轉讓給誰 日方在和約中未提. 自由時報 (臺北市). 2009年4月29日 [2015年1月24日]. ^ 林建良. 台灣地位未定 日本立場已定. 自由時報 (臺北市). 2009年5月3日 [2015年2月19日]. ^ 鮑紹霖. 美國干涉台灣「法律」持論的商榷. 《海峽評論》第26期. 海峽評論雜誌社. 1993-02 [2016-06-12]. ^ 南方朔. 謝謝齋藤又提「台灣地位未定論」. 中國時報. 2009-05-05 [2015-05-16]. ^ 康子仁. 黃光國：日本以台灣地位未定論測試馬政府. 中評社. 2009-05-12 [2015-02-19]. ^ 林濁水. 台獨空想主義的末路. 台灣蘋果日報. 2009-10-15 [2013-02-10]. ^ 范正祥. 彭明敏：台灣國際地位受關切是好現象. 自由時報 (臺北市). 2009年11月22日 [2015年3月10日]. ^ 邱國榮. 再讀舊金山和約 台灣前途人民自決. 台灣教會公報. 2011-09-16. ^ 林宜瑩. 戳破詐騙謊言 拆穿統戰假面. 台灣教會公報. 2013-08-14 [2015-01-24]. ^ 劉屏. 台灣、釣島主權未定？陳錫蕃駁斥. 旺報. 2012-10-19 [2014-02-22]. ^ 黃筱筠. 陳芳明：台灣怎會未定論？民進黨人格分裂. 中評社. 2012-11-30 [2013-02-03]. ^ 陳慧萍. 獨派團體 要求日助台恢復主權. 自由時報. 2013-04-30 [2014-02-22]. ^ 黃筱筠. 台獨大老黃崑虎：日本不會幫台灣建立主權. 中評社. 2013-05-04 [2014-07-20]. ^ 徐尚禮. 李光耀：兩岸終將和平統一. 旺報. 2013-08-09 [2014-08-16]. ^ 【台湾チャンネル】日台交流頻道第5回、教科書も間違っている台湾の国際的地位[桜H25/11/7]. 日本文化チャンネル桜. 2013年11月7日. （日文）（中文）. ^ 黃揚明. 姚嘉文：馬英九主張開羅宣言是賣國. 蘋果日報 (臺北市). 2013年12月1日 [2015年2月16日]. ^ 陳茂雄. 施明德瞎子摸象. 臺灣時報. 2014-11-10 [2014-11-15]. ^ 林良昇. 國際法觀點 學者：台灣被中華民國政府佔領70年. 自由時報 (臺北市). 2015年10月24日 [2015年12月12日]. ^ New Jersey v. New York, 523 US 767 (1998). US Supreme Court. 26 May 1998 [29 January 2010]. Even as to terra nullius, like a volcanic island or territory abandoned by its former sovereign, a claimant by right as against all others has more to do than planting a flag or rearing a monument. Since the 19th century the most generous settled view has been that discovery accompanied by symbolic acts give no more than "an inchoate title, an option, as against other states, to consolidate the first steps by proceeding to effective occupation within a reasonable time.8 I. Brownlie, Principles of Public International Law 146 (4th ed.1990); see also 1 C. Hyde, International Law 329 (rev.2d ed.1945); 1 L. Oppenheim International Law §§222-223, pp. 439-441 (H. Lauterpacht 5th ed.1937); Hall A Treatise on International Law, at 102-103; 1 J. Moore, International Law 258 (1906); R. Phillimore, International Law 273 (2d ed. 1871); E. Vattel, Law of Nations, §208, p. 99 (J. Chitty 6th Am. ed. 1844). ^ 丘宏达. 一个中国的原则与台湾的法律地位. Modern China Studies. 2000, (MCS 2000 Issue 4). p8. “the principles of prescription and occupation that may justify the ROC's claim to Taiwan certainly are not applicable to the PRC because the application of these two principles to the Taiwan situation presupposes the validity of the two peace treaties by which Japan renounce its claim to Taiwan and thus makes the island terra nullius."